Imagine paying $700 per month to sleep in the living room of someone else’s home. It sounds absurd, but it’s becoming an increasingly common practice in Vancouver, where the price of renting or owning a place to live has been on the rise over the past 12 years. 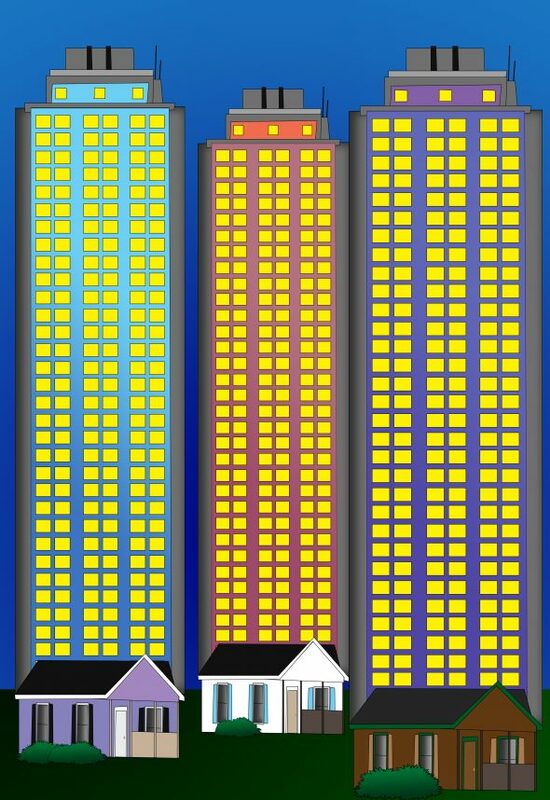 According to the Real Estate Board of Greater Vancouver, the average Multiple Listing Sales price index of all types of residential units has risen by 317.4 per cent when compared to the average sale prices in January 2005. The current benchmark price for homes in Vancouver, including detached homes, townhouses, and apartments, is $1,083,900. In the last five years alone, the average price of detached homes—the most sought-after kind of housing on the market—has increased by 86.2 per cent. Residents know that the province is in the middle of a housing crisis. For several years in a row, election polls have stated that housing affordability has been the number one issue concerning British Columbians. Governments on municipal and provincial levels have promised to take action on mitigating the decline in B.C’s affordability, especially in and around Vancouver. But despite various attempts to alleviate the problem, housing affordability continues to shrink as the market and prices grow. Lincoln Saugstad, a third-year KPU student, says that his search for a place to live in Metro Vancouver has been made much more difficult by the affordability issues in the housing market. Saugstad was surprised by the lack of contact he had with his potential landlords, as most of the advertisements that he had replied to had been posted only a few hours before he had sent his inquiry. He says that he even saw an ad for renting out individual rooms in a home, such as a glass-enclosed sunroom. The stiff competition between renters adds to the challenge of finding somewhere to live, which puts pressure on them to lower their expectations and settle for apartments that they may have otherwise turned down. His situation is becoming the norm for young people looking to buy or rent a home in the Greater Vancouver Area. The market disproportionately excludes younger people in the lower and middle classes, which has led to speculation that we are beginning to see signs of a “mass exodus” of these demographics from the region that will continue over the next decade. Jens von Bergmann, a Vancouver-based data analyst, published an interactive map that tracks the affordability range of residential spaces in Vancouver neighbourhoods. His findings paint a picture of a city in a unique housing market situation. “Artisanal landlording” is a tongue-in-cheek term for illegal space rental or dedicated Airbnb units that landlords hide from the government in order to avoid paying taxes. “At this point, incremental changes aren’t enough to ensure that this land serves the needs of Vancouverites,” he says. The changes he is referring to include an increase in dedicated social housing, a 15 per cent provincial tax on foreign homebuyers, and “smart” municipal zoning that prioritizes density in residential areas. While these efforts have been shown to incrementally slow the rise of unaffordability, there is a growing consensus among critics that more should be done. 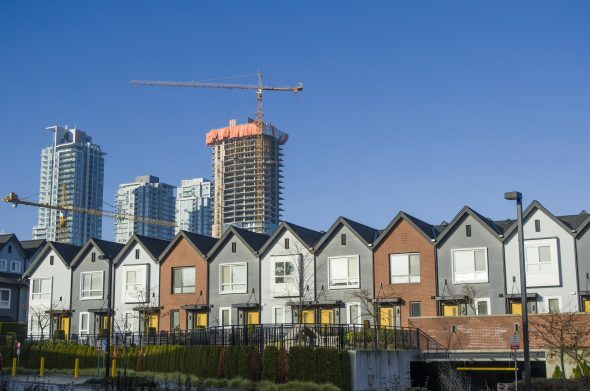 For years, critics and commentators on this issue have pointed out that Vancouver’s geography has limited space left for residential expansion, which they say has restricted the housing market’s supply, leading to higher demand and higher prices. Not everyone agrees with this theory, though. Dr. John Rose, a professor of Human Geography at KPU and a Vancouver homeowner, recently presented the results of a year-long research project he conducted which looks at how the housing market supply affects affordability. His findings indicate that the City of Vancouver added roughly 1.2 dwellings per resident population over the last decade or so, but that the ratio of price to income continued to increase, now sitting around 11:8. Rose thinks that there are a number of unique factors that contribute to Vancouver’s housing bubble. He points out that the sustained low interest rates on mortgages in Vancouver makes housing a much more attractive option for speculation. People who are borrowing money to purchase a house or a condo can do so at a decreased cost. Rose is planning on continuing his research into different types of housing supply. He is also planning to study how different numbers of apartments, single family homes, social housing units, condos, and co-ops may affect the availability of affordable housing for Vancouver residents. He also criticized the city’s apparent lack of a long-term plan for controlling and increasing the supply during a podcast interview conducted by Ian Bushfield and Scott de Lange Boom of Politicoast. 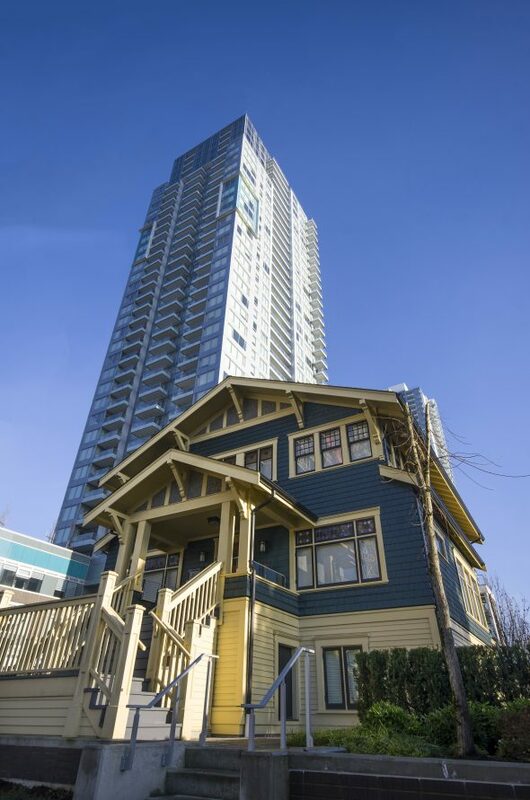 Bremner says that the city needs to find ways around the supply issue, citing the example of one of his close friends who recently inherited a single-family detached house in Vancouver and is planning to subdivide it into three units: a basement suite, a main floor, and a top floor. Though Bremner asserts that the affordability issue is mainly rooted in supply, he also acknowledges, like Rose, that it is only one aspect of many that currently affects housing affordability. Rose agrees with the argument behind the BC Liberals’ 15 per cent foreign buyer’s tax established in 2016, which noticeably slowed the rate of unaffordability in the Greater Vancouver Area. According to the Real Estate Board of Greater Vancouver, however, it only took until May 2017 for housing prices to climb back up and surpass the July 2016 median house price of $1,620,000 after the Liberals’ tax was introduced. The rate of foreign property transfers also sharply decreased from 10.9 per cent in July 2016 to just 2.7 per cent in May 2017. Like the market price, though, that number has also increased, and by September it had almost doubled to 5 per cent. On Nov. 29, Vancouver City Council voted to approve a new 10-year housing strategy. The report that accompanies the strategy contains a wide array of initiatives and ideas for how the city plans to deal with the affordability issue, like adding 72,000 new housing units over the next decade—at least two-thirds of which would be for rental—and the rezoning of single-dwelling house neighbourhoods into medium density residential areas. The plan also addresses developing areas along the Broadway corridor and around SkyTrain stations like Olympic Village. “People will have to look at a lot of this stuff all at once, and it’s going to be hard to immediately say, ‘Oh, this is a giant success,’ or ‘This is a huge failure,’ because it’s so multi-faceted,” says Justin McElroy, the CBC’s reporter on municipal affairs in Vancouver. Vancouver City Council also wants to reach out to the provincial government for help in increasing affordability. “A lot of times, it’s about the provincial government either providing more money to municipal governments or changing the community charter or the Vancouver charter, in this case to give them different powers to do things, such as [the legal ability to create] rental-only zoning,” McElroy says. Nevertheless, Dr. Rose’s research points to a sustained decrease in housing affordability for the foreseeable future, which is having an impact on the psyche of Vancouver residents who may not be able to afford to stay. “We are awash with the numbers just going up and up and up so much that sometimes we can lose context,” says McElroy. On Nov. 28, he posted a statistic on his Twitter feed that showed how, since 2005, housing prices in Vancouver had increased by 350 per cent, while the average income only grew by 22 per cent. “The fundamental dynamics of the market are such that, in the absence of some sort of radical intervention, it’s probable that this will continue,” says Rose. NOTE: One of the people interviewed for this article, Lincoln Saugstad, is an occasional contributor to The Runner.